Ping is one of the most used tool for network diagnostics. When internet is not working, can not access file shares etc we will firstly ping command. Ping is one of the most known tool in the IT area. Ping actually uses ICMP packets to get information about network status. In this tutorial we will look practical use cases of Ping tool. Syntax of ping command for Linux is like below. ICMP is a network protocol mainly used by ping command. ICMP have different type of messages to exchange network, host, router, switch information. Ping command uses ICMP Request which is numbered 8 and ICMP Reply which is numbered 0. We will just ping with default settings for ping command. By default ping will work infinitely. We can stop ping command with processes cancel keyboard shortcut CTRL+c . Time shows how long the ping command worked. LEARN MORE How To Use Owasp Vbscan? In previous example we have increased the interval. We can also set lower interval for ping requests. But there is a minor difference. To set interval lower than 0.2 we need root privileges. In this example we will set interval as 0.5 second. As we stated before ping command will work endlessly if there is no interrupt for ping. Providing this interrupt can be difficult job if we use ping as a batch script. We may need to run ping some little time and use the output. In this situations we can set the packet count. Ping will only send specified count. In this example we will send only 3 ping or ICMP requests to the destination. There are some alert mechanism in the ping command. Ping command can provided some voice alert if some change occur. This change can be the destination host is down or up. But keep in mind that this may not work in some terminals. The IP address will be printed in the first line of ping output if we specify the destination with its host name. Ping command uses ICMP packets and puts some meaningless data in the ICMP packet. This data size is 56 byte by default. This data size can be changed with -s parameter. In this example we will set the data size for ICMP packet 200. IP packets have Time To Live count. This TTL will set how much hop the packet can transmitted. By using -t option TTL value can be set. In this example we will set TTL as 22 which is by default 52. While sending ICMP request packets we wait for some amount of time for the ICMP response. This waiting time can be change with -w option. After the timeout value the ping command will exit. In this example we will set timeout value as 2 seconds. But keep in mind that the network devices should be supported host provided routing. This can be a security implication and disabled in the network devices. There are some online ping tools which provided the scale ability to select source host. Flood is a term used to specify uncontrolled high level network traffic. Ping command can flood ICMP requests to the destination with -f option. This will generate mass ICMP requests without setting any interval or count. In order to flood we need root privileges. As we can see from example there is no verbose information about the ICMP requests. There will be only a summary about the ping command. 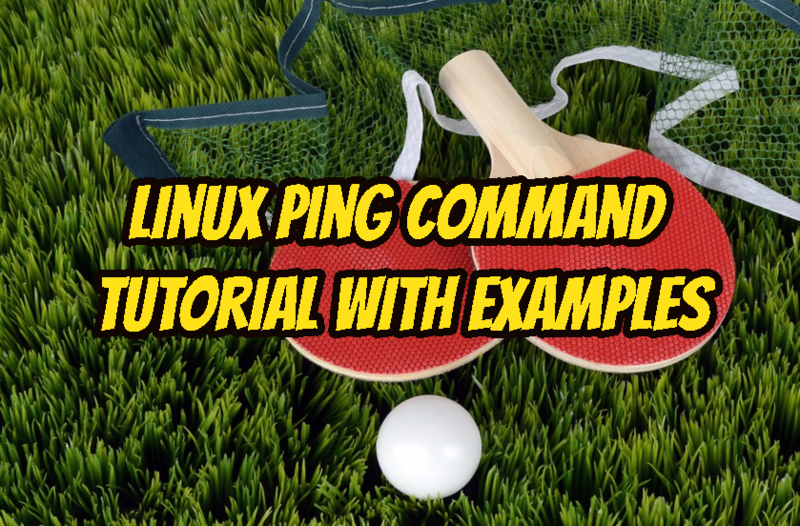 Ping command version information can be printed with -v parameter like below.